One of the things that I'm not good at is applying eyeliner. But I have been having less trouble lately, all thanks to the Lancôme Artliner 24H Bold Colour Precision Eyeliner* in Black Diamond. Celebrating the 20th anniversary of original Artliner, Lancôme released an updated version Artliner 24H in 10 rich, vibrant shades. It comes with a felt tip applicator to allow you to line your eye precisely but effortlessly. It is also said to last a whole day. 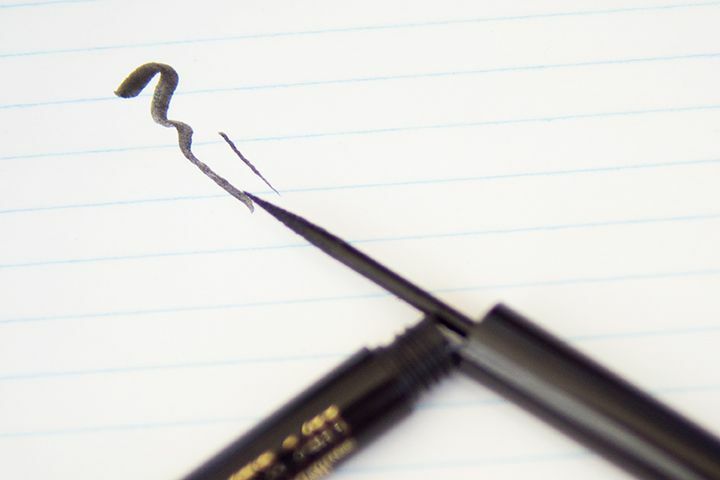 I usually go for some pen like liner where the ink comes from inside of the applicator. So that took maybe 2 applications to get used to. Since then this eyeliner has not failed me just yet. 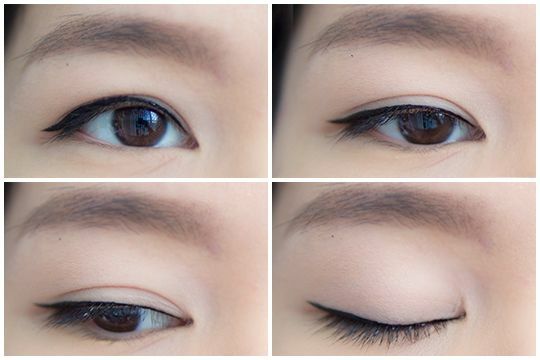 I can get my desired shape every single time with this eyeliner. It's like magic. But I know it is the felt tip applicator combining with the formula that makes it glides on smoothly on my lids. Speaking of the formula, it is one of the wettest formula I've ever tried. Interestingly, it also dries down the quickest. I like to "scrape off" some excess on the side of the tube just so I don't apply too much because it's quite liquid-y. I find that the amount of products from taking the applicator out of the tube is enough for both eyes. The eyeliner has, what they called, a vinyl finish. Basically it is not very shiny but definitely not matte. This finish make it versatile for all sorts of look. I have been wearing it all the time and I quite like it for my everyday look. Another reason that it is good for every day is that it is very long wearing. It doesn't budge at all and it doesn't give me panda eyes, which I appreciate. I actually swatched all different colours at Shoppers on the back of my hand last week and I was having quite some trouble to remove them because it just doesn't want to move. On my eyes however, it's more forgiving. I usually soaked a cotton pat with Bioderma and place it on my eyes for a few seconds before I try to remove the makeup. You might need an extra step after, I usually use a Q-tip to remove the leftover. Now I mentioned that it is wet and dries down quickly. Because of its liquidity, it usually gets on my lashes, which is problem because it also dries down on your lashes. I have been using a Q-tip saturated with Bioderma to remove it from my lashes so then I don't get crunchy lashes when I apply my mascara. It is an extra step, which may not be ideal for those who want a quick application. But if you're more careful/skillful than me, maybe it won't happen to you. It doesn't take too long to remove the excess, so I am not too fussed about it. 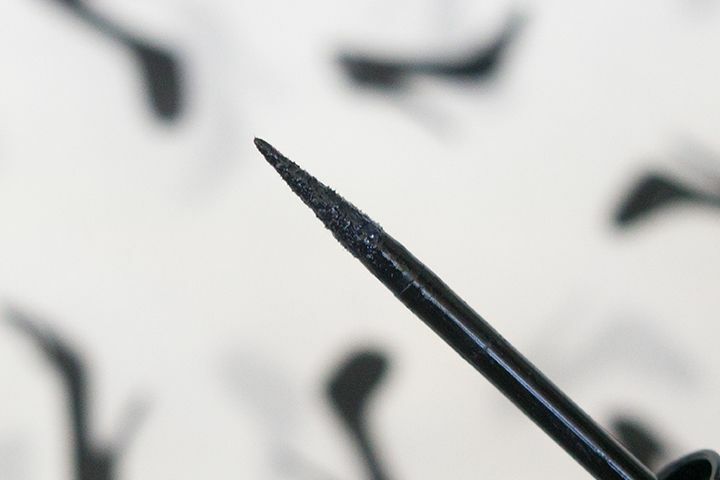 All in all, it is a fabulous long lasting eyeliner for those of you who wants that perfect cat eye every time, or just any eyeliner shape, but that comes with a slightly hefty price tag. It is a rather wet formula but dries down quickly. The vinyl finish is quite desirable for different types of look. The wear of this eyeliner is just phenomenal. However, it might get on your lashes and it'll take some time to fix it. And since it's so long wearing, it is quite a pain to remove it at the end of the day. But I just really like the look of it, so I'm willing to go through the trouble. 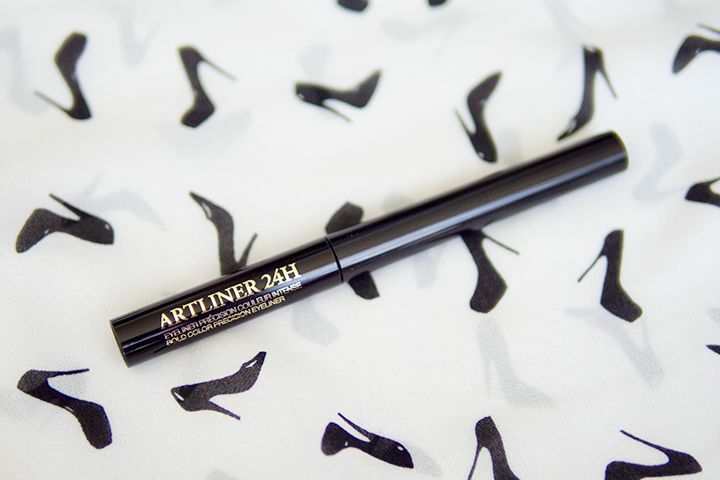 If you don't mind the price and looking for an easy to use, long wearing and opaque liquid eyeliner, you might want to check the Lancôme Artliner 24H out. oh my gosh. thanks so much for this review. the bay is having a gift w/ purchase event for lancome and i am totally going to snap this up! i'm really bad with liquid liner and much prefer gel or pencil but i really want to give liquid another go and this one might just work out for me! haha you're welcome. I actually was thinking to get a coloured one with the Bay's GWP. It is such an awesome GWP, I have not seen one like this. An extra tip for you, don't give up on one go. 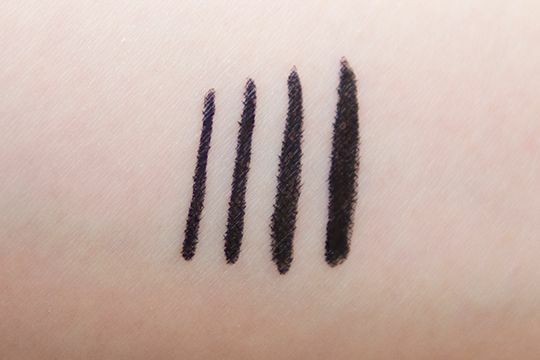 After 1-3 tries, you should be ok. Also, wiping of the excess on the side of the tube or on the back of the hand helps not overapplying it :). Hope you get it work for you!